We had these over the weekend — when Brian got home after his usual Saturday 12-13 hour shift. We have gotten into the habit of doing most of our grocery shopping at Sam’s Club and the nearby Walmart, primarily for convenience and savings. Neither, however, has as much selection as the meat departments of grocery stores, so last week I saved the sales circulars from several such stores and wrote a 2-week menu and shopping list based on what I found that was on sale and different from our usual purchases. 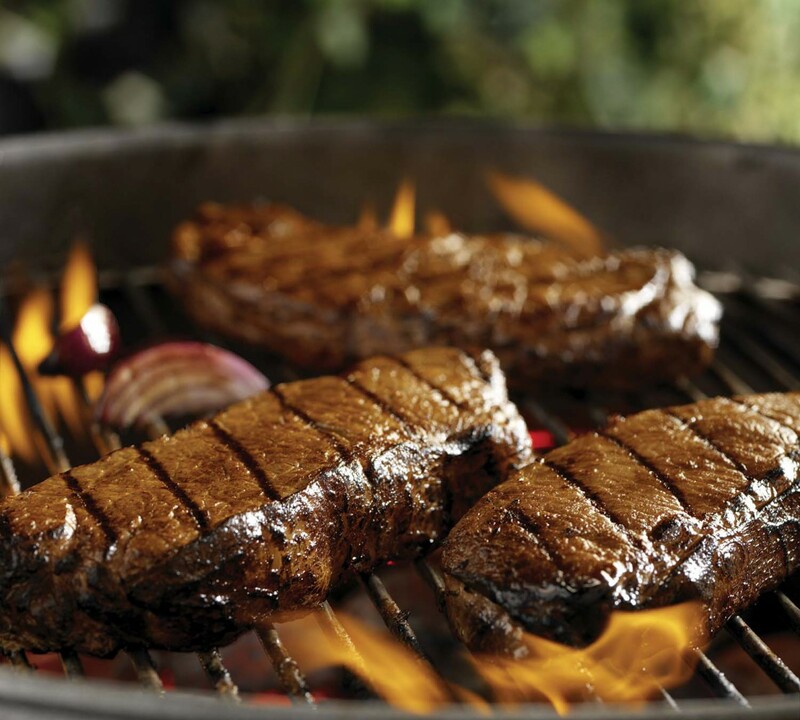 With the Labor Day weekend coming up, I found a store that had t-bone steaks on sale for $4.88/pound, which is about what we pay for ground beef at Walmart in OKC these days. Who could resist? Was it the best steak I ever had? No. But it was tender (I seared for 5 minutes on each side in an iron skillet, then finished them in the oven). They were so big I had to sear them individually, as they wouldn’t both fit in my big skillet at the same time! 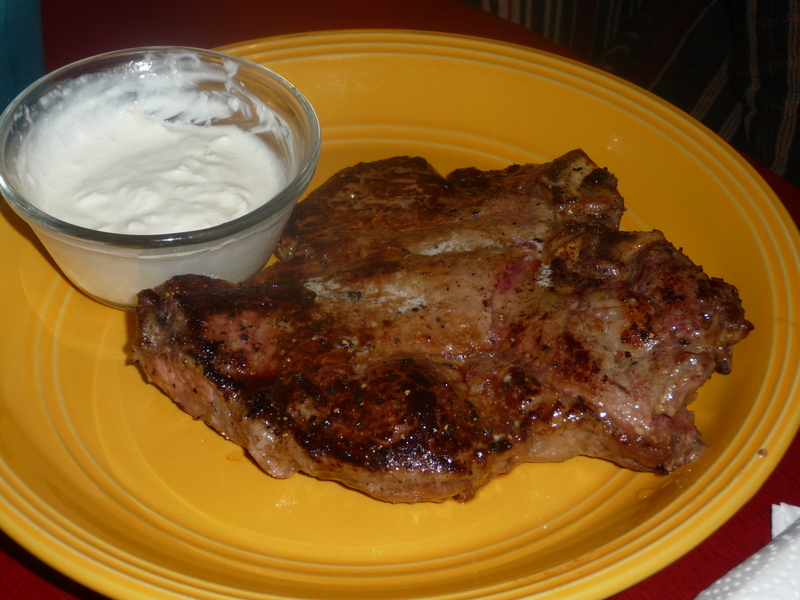 With some simple horseradish sauce (sour cream + horseradish), what a delicious treat for a couple of meat-eatin’ beef lovers on a budget!